Dunning-Martin Engineering (DME) is a Memphis, TN-based consultant engineering firm that specializes in mechanical and electrical designs. DME was founded in 1999 by Lecia Martin, P.E., our company’s president and CEO. Ms. Martin earned her bachelor’s degree in Mechanical Engineering from Christian Brothers University in Memphis, TN and holds professional mechanical engineering licenses in several states. DME is certified as a small, woman-owned, HUBZone, and 8-(a) firm that provides services to commercial clients in Horn Lake, MS. Because we have the 8-(a) certification, we participate in the SBA Mentor/Protégé Program. Through the experience of our engineers, senior managers, designers, and consultants; we bring a wealth of practical knowledge and excellent qualifications to deliver distinctive products on-time and within budget to our clients. Why Partner With Our Engineering Firm? Are you looking for a trustworthy engineering firm? Choose none other than Dunning-Martin Engineering. We exist solely for the purpose of adding value to our clients through the use of reliable and beneficial consultant services. DME has focused on mechanical, electrical, and fire protection engineering consultant disciplines. 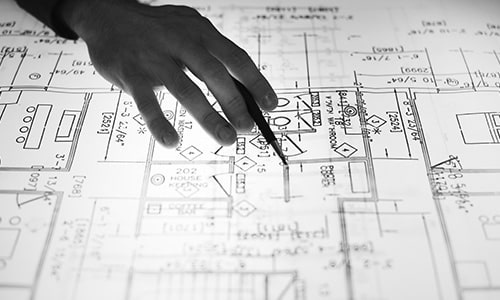 Moreover, with the additional resources of our SBA-approved mentoring firm Stanley Consultants, Inc., we now offer a full range of architectural and engineering services to clients. One of our current projects is the new Memphis Grizzlies NBA arena, for which we are designing portions of the mechanical, electrical, and fire protection systems. It will be an 18,500-seat arena located in the heart of downtown Memphis, TN.